Coastal real estates in Bulgaria. 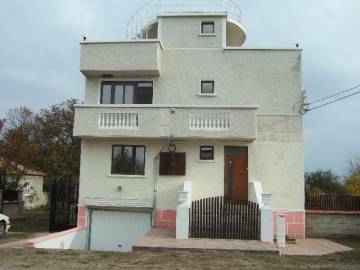 Furnished house villa in Bulgaria, close to lake and golf courses, close to the beach and sea resorts - Kavarna, Balchik, Albena and Golden Sand, in the village of Krapets Shabla. Opportunity for practicing golf. Permission for use, Act 16. Hunting area and fishing area.